AIS is included in the Safety of Life at Sea (SOLAS) Convention, and large ships began fitting AIS in July 2002. AIS transmits, automatically and at set intervals, dynamic information relating to the ship’s course, speed and heading; static information related to the ship’s name, length, breadth; and voyage-related details such as cargo information and navigational status (e.g. underway or at anchor). Put simply, the Automatic Identification System (AIS) is a Very High Frequency (VHF) radio broadcasting system that transfers packets of data over the VHF data link (VDL) and enables AIS-equipped vessels and shore-based stations to send and receive identification information that can be displayed on a computer or chart plotter. 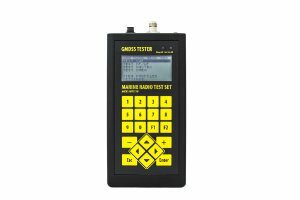 Especially when used with appropriate graphical displays, this information can help in situational awareness and provide a means to assist in collision avoidance. AIS transceivers can be found interfaced to radars and ECDIS (Electronic Chart Display and Information System) displays. When interfaced to a radar, AIS can be a source of target information, in addition to conventional ARPA (Automatic Radar Plotting Aid). AIS fitted to real (physical) aids to navigation such as floating buoys and beacons. AIS base stations can broadcast a non-physical “synthetic” AIS AtoN to appear at the location of a real (physical) AtoN on an AIS-enabled display system (e.g. 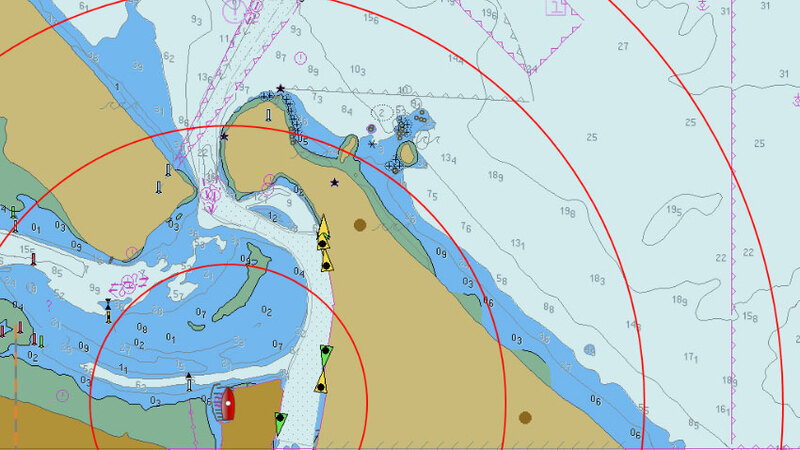 AIS, ECDIS or radar). AIS base stations can also broadcast a non-physical “virtual” AIS AtoN at a particular location when no real (physical) AtoN exists. 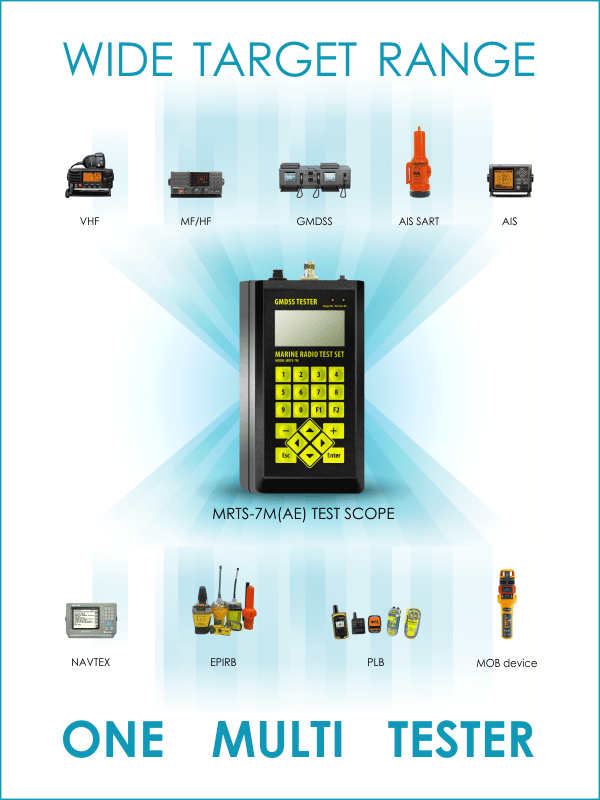 Although AIS is not part of the GMDSS, it can be considered part of the GMDSS due to the advent of the AIS-SART (AIS Search and Rescue Transmitter), which can be used in lieu of a search and rescue radar transponder (SART), since 01 January 2010. AIS transceivers on ships also have a simple text communications capability called Short Safety- related Messaging (SSRM), but does not constitute a distress- alerting system, and uses the VHF maritime mobile band. Each AIS station consists of one VHF transmitter, two VHF receivers (AIS 1 and AIS 2), one VHF DSC receiver (CH.70), a standard marine electronic communications link and sensor systems. Timing and positional information comes from a Global Navigation Satellite System (GNSS) receiver. The GMDSS regulations allow vessels trading exclusively within A1 areas to carry an EPIRB operating on VHF channel 70 in lieu of a 406 MHz EPIRB. The VHF DSC EPIRB must be capable of transmitting a Distress Alert using digital selective calling techniques. In order that it may be located by searching ships and aircraft, the EPIRB must also be capable of transmitting X-band radar locating signals. VHF DSC EPIRBs are not fitted to GMDSS vessels, and are rarely if ever, used elsewhere. A proposed new variant of the 406 MHz EPIRB includes an AIS burst transmitter as an additional locating aid. The designation of this device is EPIRB-AIS. The AIS burst transmitter will operate in a similar way to an AIS-SART, transmitting an updated position via AIS. The IMO has stipulated that these devices must still include a 121.5 MHz homing beacon for aircraft (or suitably equipped ships). Although an international numbering format for the numerical identities (MMSI) to be used for the AIS transmitter has been agreed (974xxyyyy), these devices have yet to be brought into service. 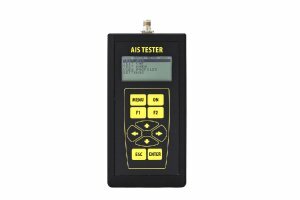 It has also been agreed that the associated text to be transmitted by the AIS transmitter in active mode is EPIRB-ACTIVE, and EPIRB-TEST in test mode. Every year valuable resources are wasted in locating EPIRBs which have been activated inadvertently. Masters and Officers need to be aware that even a single burst from a 406 MHz EPIRB can be detected instantaneously by the Cospas–Sarsat GEOSAR system which will result in an RCC being alerted. As to US Coast Guard report: 96% 406 MHz EPIRB Alerts are false. Should it be suspected that an EPIRB has been activated inadvertently, the Master or person responsible for the vessel must immediately advise the MRCC for their area of operation. Real-time beacon monitoring is offered to be used as a tool to detect all local inadvertent activation. 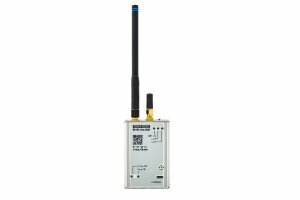 406MHz Sarsat Beacon Monitor allows to locate and process all false emergency signals on local area and gives the right to port and airport authorities to contribute penalty charges for false distress signal in accordance with Cospas-Sarsat recommendations. Cospas-Sarsat was initially developed under a memorandum of understanding among agencies of Canada, France, the former Union of Soviet Socialist Republics and the United States of America, signed in 1979. Through their association with the programme, States contribute ground receiving stations that enhance Cospas-Sarsat distress alerting capabilities and/or participate in international Cospas-Sarsat meetings dedicated to the worldwide coordination of system operations and programme management. 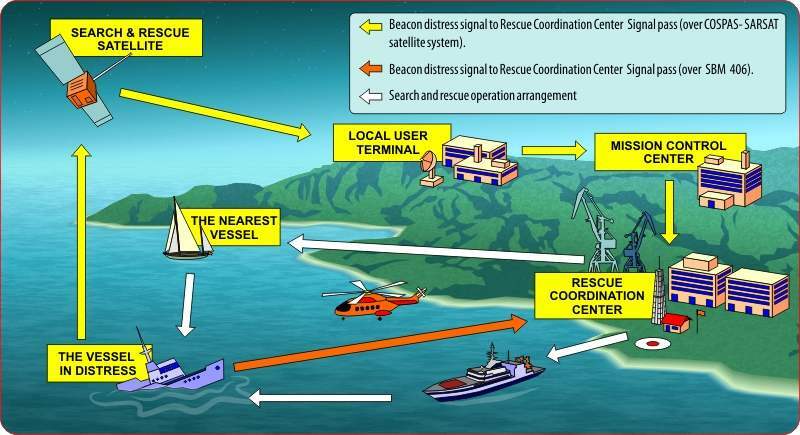 The objectives of Cospas–Sarsat are to ensure the long– term operation of the system, provide distress alert and location information on a non–discriminatory basis and support the search and rescue objectives of the International Civil Aviation Organization (ICAO) and the International Maritime Organization (IMO). and Emergency radio beacons operating at 406 MHz, the characteristics of which comply with appropriate provisions of the International Telecommunication Union (ITU) and Cospas– Sarsat specifications. Further information on the Cospas–Sarsat system can be found in the Admiralty List of Radio Signals (ALrS) Vol. 5. Emergency Position Indicating Radio Beacons (EPIRBs) are small, portable, battery powered radio transmitters that are both watertight and buoyant and transmit in the 406.0 – 406.1 MHz channel. EPIRBs are carried aboard merchant ships, some private vessels, commercial and military aircraft. They also transmit a distinctive swept audio tone signal on the international aeronautical distress frequencies of 121.5 MHz for homing purposes by search and rescue aircraft. Aircraft at 30 000 feet can detect the audio tone signals at approximately 200 n miles. EPIRBs are tracking transmitters which aid in the detection and location of boats, aircraft, and people in distress. A PLB (personal locator beacon) is particular type of EPIRB that is typically smaller, has a shorter battery life and unlike a proper EPIRB is registered to a person rather than a vessel. 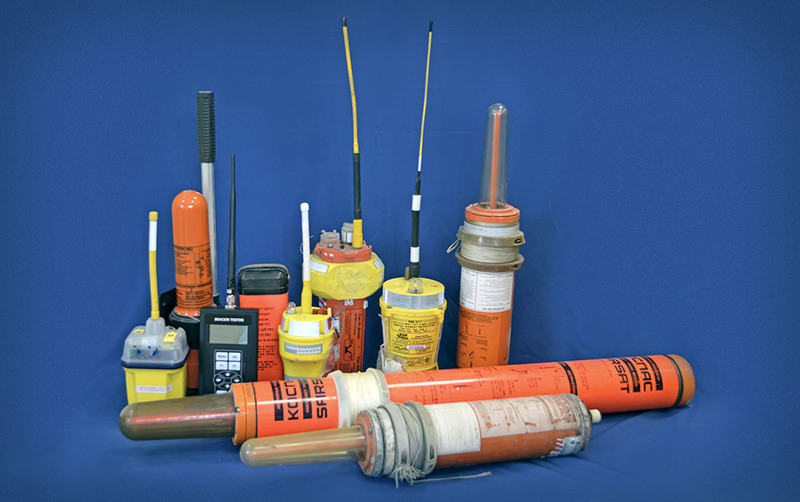 The terms ELB (emergency locator beacon) and ELT (emergency locator transmitter) are used interchangeably with EPIRB only when used on aircraft. Strictly, they are radiobeacons that interface with worldwide offered service of Cospas-Sarsat, the international satellite system for search and rescue (SAR). When manually activated, or automatically activated upon immersion or impact, such beacons send out a distress signal. The signals are monitored worldwide and the location of the distress is detected by non-geostationary satellites doppler trilateration and in more recent EPIRBs also by GPS.